If you like this newsletter and would recommend my services would you take a moment to leave a recommendation on Realtor.com? Thank you in advance and MERRY CHRISTMAS all!! You are in for a treat! This OPEN FLOOR PLAN home offers high ceilings with trays and CROWN MOLDING–making it LIGHT & BRIGHT! Enjoy your coffee in the large breakfast room with views of the pool. Lots of upgrades: GRANITE, kitchen pantry, large laundry room with storage, undersink r/o system, large spare bedrooms and more. Pool deck extension with pavers added–making an extra large living and entertaining area surrounding the HEATED POOL. Pocket Slider in the GREAT ROOM disappears behind the wall bringing the outdoors in. Now that is SW Florida Living! Master Bedroom sliders overlook the pool so you can lie in bed and enjoy the view. Master Bath has a separate shower and a garden tub for relaxing soaking. GORGEOUS MATURE PALM TREES!!! And just imagine strolling through your own yard and picking papaya, citrus, and avocados. Boating Access from the Community Boat Ramps located just a short drive away give you access to the Gulf of Mexico, beaches, and surrounding islands. Plus, you’ll love the fact that this home is approx. 30 miles from the International Airport. Shopping, restaurants, golf courses, and more just a short drive. 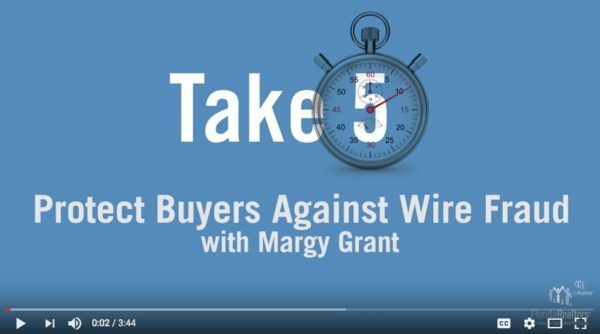 a must watch video before you wire money! Our Economic Development staff has made it a priority to recruit businesses with higher paying jobs to Cape Coral. This week’s ‘Catch the Vision’ event made it clear that we are making strides in that direction. While there are many hospitality and retail jobs that are essential to our community, it is very important to bring in the better paying positions to help our citizens gain access to livable wages. Individuals with a higher level of disposable income will tend to spend that money closer to where they live, and that helps drive our local economy and create more jobs. Our work to help bring Caldwell & Kerr Advertising into Cape Coral resulted in just the kind of impact we like to see-the company brought 75 existing employees to Cape Coral earning an average wage of $54,000-and there could be more jobs to come. A German-owned company, ESA Rohr Technik, recently selected Cape Coral to set up its U.S. headquarters. Company leaders are establishing ESA Tube Forming Inc. and will be adding 15 employees to start. Again, these will be higher paying jobs and could also offer some valuable skills training for local job seekers. We also have two new large-scale assisted living facilities at Liberty Village and Gulf Coast Village being developed and additional medical-related jobs that will be associated with the new Florida Cancer Specialists facility on Commerce Creek Pkwy. Both Liberty Village and the new Florida Cancer Specialists facility are located in the Veterans Investment Zone (VIZ). Our staff has a number of other prospects in the works that we believe will bring higher wage jobs to our community. It is great to see the Cape starting to spread its wings and grow into the amazing city we all know it can be. · As is expected during this time of year, inventory levels rose by 5.7% in one month. · Cape Coral, active single family homes are 1,572. 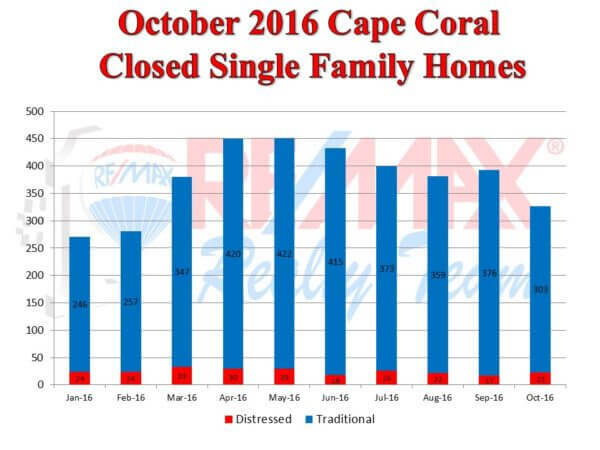 · Cape Coral sales were 326 in October, as we enter the last part of the year, it’s not uncommon to see sales drop as a result of more inventory. · Although October and November ordinarily has a dip in sales, the good news is that December generally has an uptick in sales as buyers take advantage of tax and homestead exemptions. · Inventory levels rose to 4.8 months, moving towards a “neutral market”. · Total permits issued in Cape Coral for FY 2017 was 93, the second highest number for the month of October since 2007. · Similarly to Cape Coral, home values have increased 11.2% in one year! · HUD has set FHA requirements for condo financing. In order for funding to be approved the condo association it must show it has high reserves, low percentage of dues in arrears and evidence of long term financial stability. Also, already approved associations owner-occupancy ratio was changed to 35%.